This last weekend was a whirlwind of activity including hours of Christmas shopping, a lunch with friends, going out for ice cream, enjoying the sights and sounds of Christmas, and taking in a performance of "The Nutcracker". Sunday evening when I finally sat down to spend some time blogging and doing a little work for the office I was quickly sound asleep. This year marked my first time seeing "The Nutcracker". It was stunning and I hope to make it a yearly tradition. 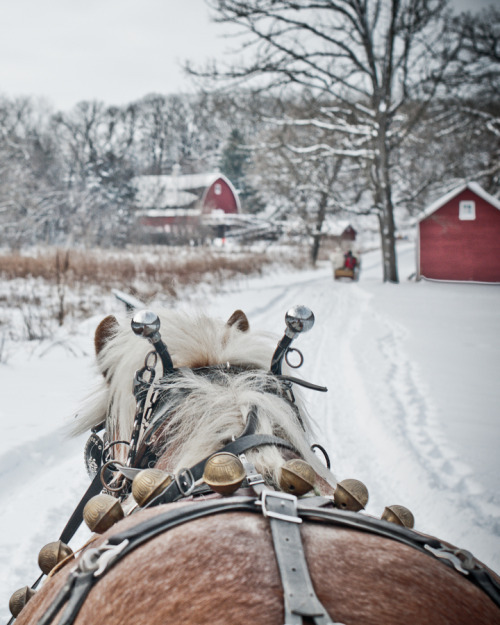 Another holiday activity that I would love to try is going on a sleigh ride. Unfortunately there is seldom enough snow here. Have you ever seen "The Nutcracker" or been on a sleigh ride? Oooh, I love both those looks - so cozy! I'm zero for zero! Never seen the nutcracker or been on a sleigh ride!